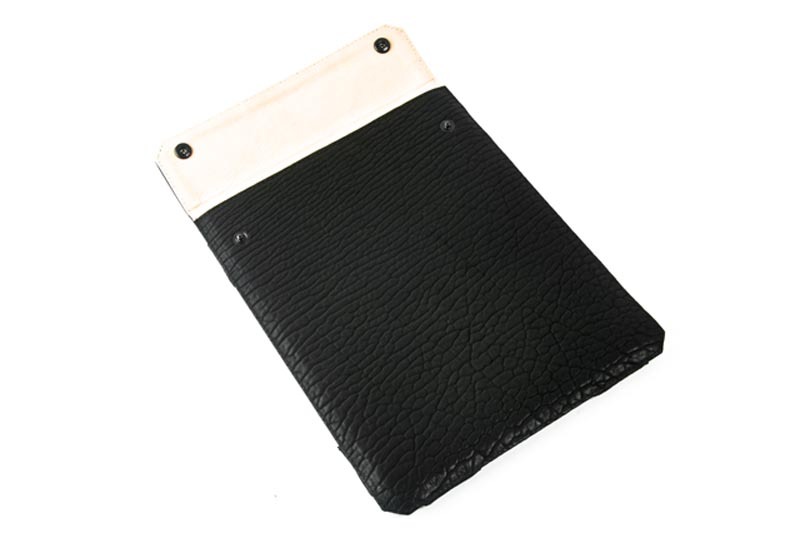 We’ve had Parabellum on our radar for a minute now, and this week they unveiled their new iPad case. 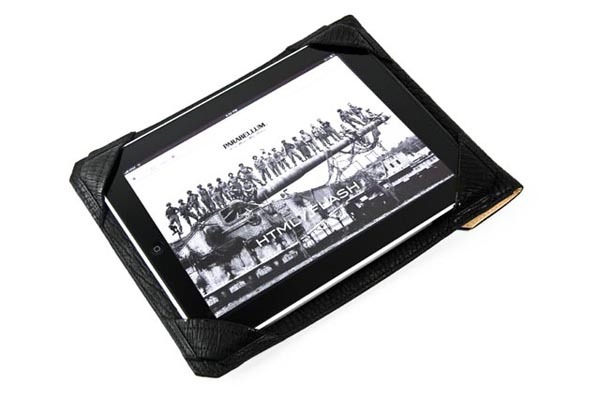 Every item we’ve seen in Parabellum’s line-up is beautifully crafted, and the iPad case is no exception. All their luxury goods are made of Deep Texture Bison, which they acquire from free-range American ranches, tanned domestically in small batches using age old techniques. And each item is made one at a time, by craftsmen in Los Angeles. 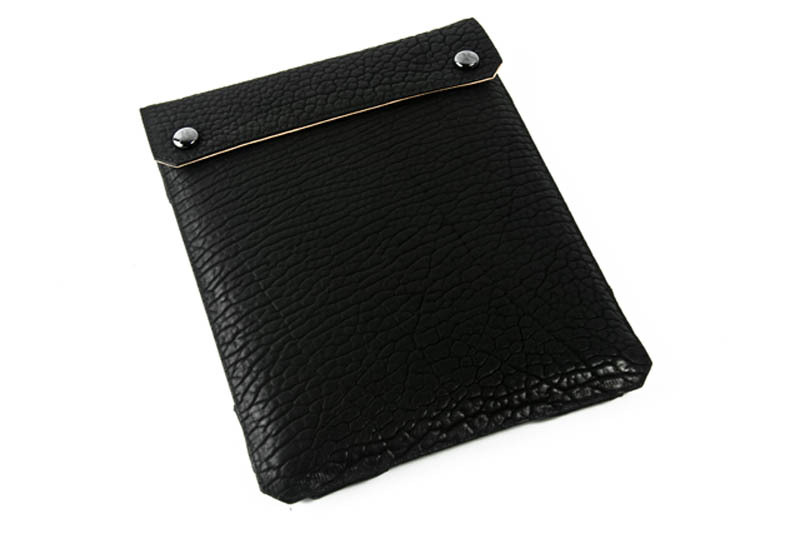 Not only is the black Bison leather gorgeous, giving their products a thick, supple, textured quality, but they also use Military Grade Ceramic hardware and internal Kevlar linings. 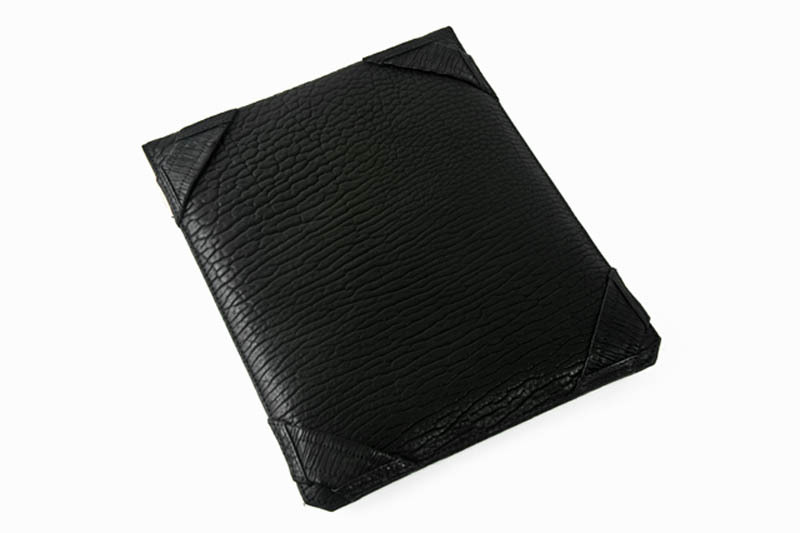 As the Bison leather is so soft, it would stretch and disform — hence the Kevlar used to keep its shape. Really beautiful stuff. Available at only world class boutiques like Maxfield and Union (Los Angeles), The Webster (Miami) and colette (Paris) for about $600.